The ground was officially named the 'Sir Donald McLean Park' by an act of Parliament in 1911 after Sir Douglas donated ten acres of land as a memorial to his father. Now it is known as 'McLean Park'. 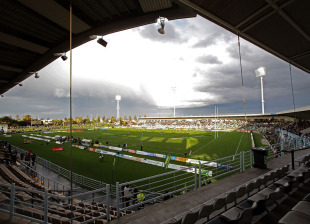 McLean Park hosts both international and representative rugby union and cricket. In recent years it has undergone an upgrade with a new stand being constructed.